Our home away from home is Disneyland. 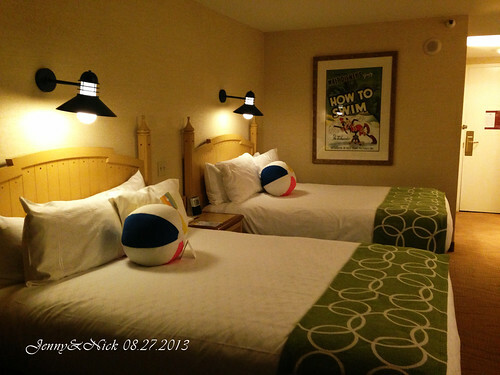 We booked a small vacation through Linda Galloup from Mouse Vacations and More (her e-mail is lingallo2@aol.com) www.facebook.com/mickeyvacationsbylindagalloup, and she got us an awesome deal for 2 nights and 3 days at Disneyland’s Paradise Pier Hotel with premium view. She even took the time to wait for when the amount of the hotel room would drop in order to book the lowest price on top of taking the initiative to ask about our annual pass to get a further discount. 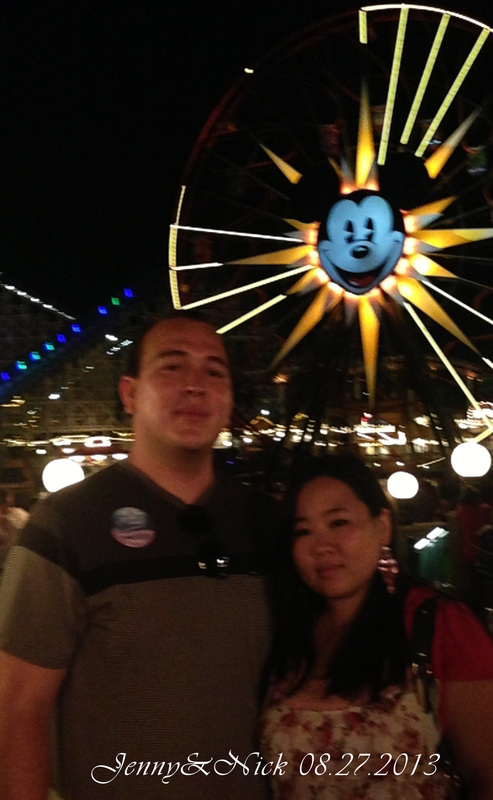 Linda even surprised us with a free VIP World of Color Dining experience where we could choose where to eat from 3 places: Carthay Circle, Ariel’s Grotto, or the Winery. 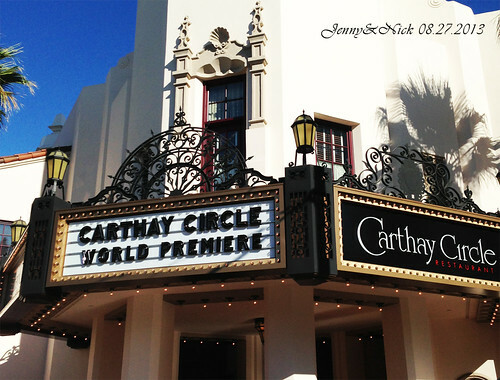 We choose the Carthay Circle because we’ve never been there and the atmosphere is romantic. 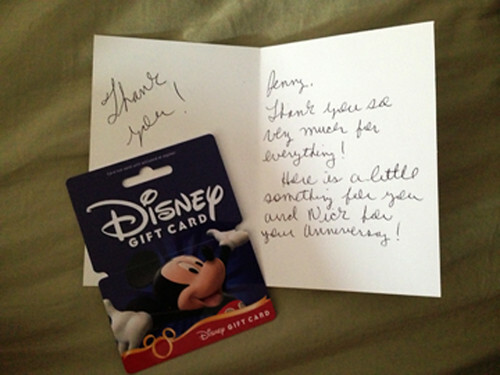 I received a letter in the mail which was from Linda and I assumed it was just a “Thank you” letter, but when I opened the Cinderella and Prince Charming card, there was a $25 Disney gift card to celebrate our anniversary with a note that thanked us for everything. I was really surprised to receive something after we had booked spontaneously and in a hurry. I asked her for help in booking my trip and she responded in less than 30 minutes, and I don’t know about you, but I value fast response time. Linda and I messaged through Facebook which was just an easier way of communication for me, and she was very open to help me that way– there was none of that “fill out this form” deal, just good old fashion communication. The day finally arrived! It was a beautiful day August 26, 2013. I had packed the night before, and I was looking forward to the night—my boyfriend, Nick, and I had been going out for 6 years and we needed a little vacation away from our worries, stress, and pressure. We walked into the Paradise Pier Hotel and checked in, they gave us “Happy Anniversary” buttons and we were told that Mickey and Minnie stopped by to drop off a signed photo for us. Another surprise occurred when our hotel room was upgraded to the 10th floor. 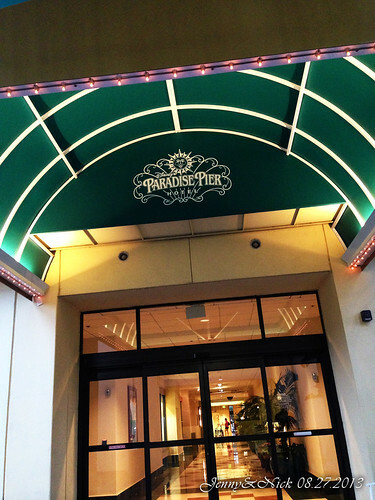 We came to our room and, to me, it felt like a huge weight from my shoulders was lifted. The room was beautifully adorned with Disney themes; a Mickey Mouse lamp, a Goofy poster, and the view… The view was breathtaking. What a dream! We had brought Martinelli Sparkling Apple Cider with us to celebrate our special occasion and loved every moment of our trip so far. There was a doorknob menu where you can check mark what you wanted for breakfast and room service would bring it up to you in the morning. Nick and I decided to try it out and we both wanted Mickey waffles, Nick got bananas and I got wild berries, after putting it on the doorknob it was lights out for us because we knew the next day was going to be a big day for us. August 27, 2013—6 years together seems like a long time, but I remember the days when we first met at Redlands Emergency Services Academy for police and firefighters. He ran behind me and cheered me on as I struggled to keep running, shared his tater tots with me during lunch, and consoled me when I had a hard time in the academy. I never knew we would be together, but now I look back and I realize, he had always been there for me. 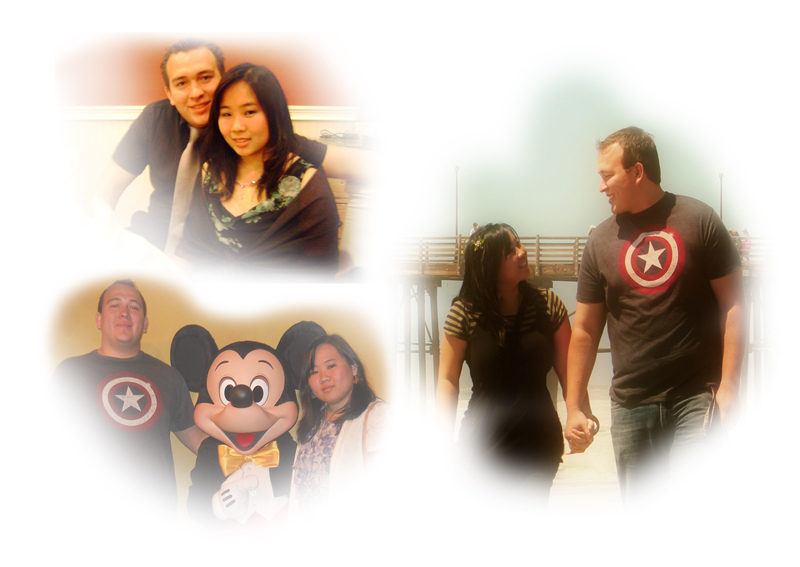 We began our anniversary morning with a long bath and shower and then we got dressed. 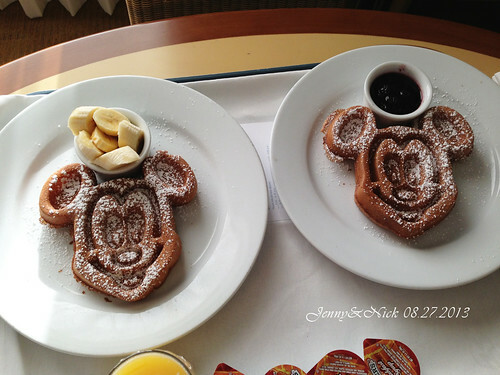 The Mickey waffles came right on time, it was a real treat to have breakfast in the room especially Mickey waffles with a beautiful Disney view just outside the window. After we ate we went to the Alice in Wonderland ride (because it’s usually crowded), then we went to the Buzz Lightyear ride for a little competition fun, and on some other rides until we decided to go back to the hotel to change and get ready for the Carthay Circle dinner. We approached the Carthay Circle at Disney California Adventure and we were really excited, this was a new restaurant to try out, and from the pictures on the internet the food looked amazing and the atmosphere was romantic and adorned with intricate details that replicate what Walt Disney saw in Los Angeles’ Carthay Circle Theater. In the front lounge area there was a bar in the right room, but people not dining could order snacks in the front lounge. The second story is where the diners eat and they are very strict about who goes up. 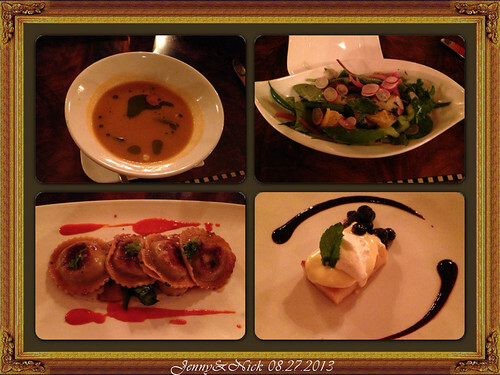 Nick and I were ushered upstairs and sat down to begin our celebratory dinner. The service was amazing and our waitress was very nice in explaining that the Carthay Circle Restaurant was built after the Carthay Circle Theater which was one of the most famous movie palaces back in 1926. Walt Disney’s first animated feature length film Snow White and the Seven Dwarfs (1937) and even Disney’s Fantasia (1940) were shown in the old theater. 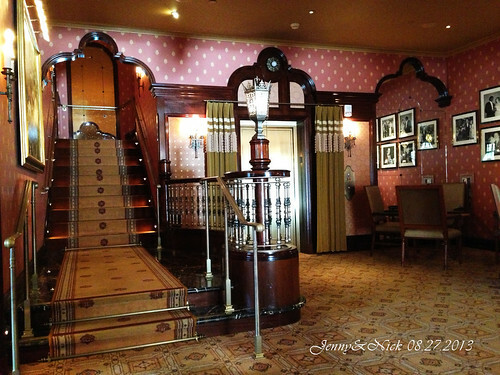 The restaurant, therefore, allows guests to experience the ambiance of how the Carthay Circle Theater might have been like back in the days. In the middle of the appetizers and main course, a little boy ran up to Nick handing him a white box which I mistook for a toy, because it was bigger than the ring boxes that are normally given. In my mind, I was thinking “Really! Someone needs to watch their kid better”, but the little boy was too cute so it was hard not to smile since Nick was so nice to the little boy and then I took a second look and said out loud, “Is that Phoenix?” and I was right! Phoenix is Nick’s nephew who was only one and half years old. I turned around and saw Crystal (Nick’s sister) and my initial reaction was to give her a hug/hello. Nick got up and came around the other side of the table (I bet he was thinking wait, don’t leave to give her a hug) because at that moment, he went down on one knee—and opened the white box. 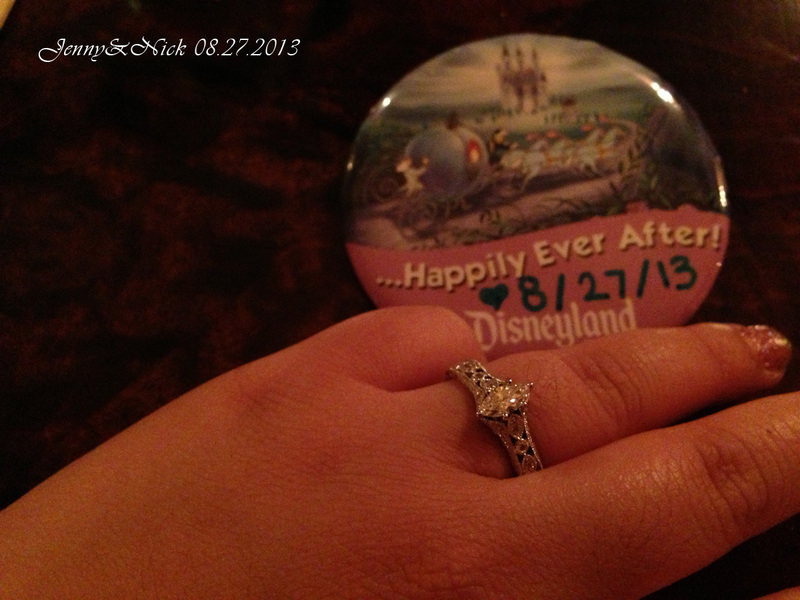 It was so surreal, I just remember hearing, “6 years together” and “Will you marry me?” , I was so happy and when I said “Yes”, in the background I heard, “she said yes” and all of a sudden everyone including some of the cast members who came out to watch were clapping and saying congratulations. At that moment, I wished that I could freeze everything. The moment was something I could never describe in words. Happiness? New beginning? Or perhaps, it is simply true love. We finished our meal and ended the night watching World of Color. My favorite part of World of Color is when they play “So Close” from Disney’s Enchanted—Nick and I would look at each other and we knew, in our hearts, we were meant for each other. This entry was posted in Disney California Adventure, Disney News, Disneyland, General and tagged adventure, california, carthay, carthay circle, carthay circle restaurant, circle, disney, disneyland california adventure, engagement, proposal, travel, vacation, vacations, walt disney by JNYFAV. Bookmark the permalink.